We have created a selection of original, hand drawn colouring sheets, puzzles, and activities to help you keep your children entertained. These are all free to download for you to print and share, and are perfect for parents, teachers and carers of children. 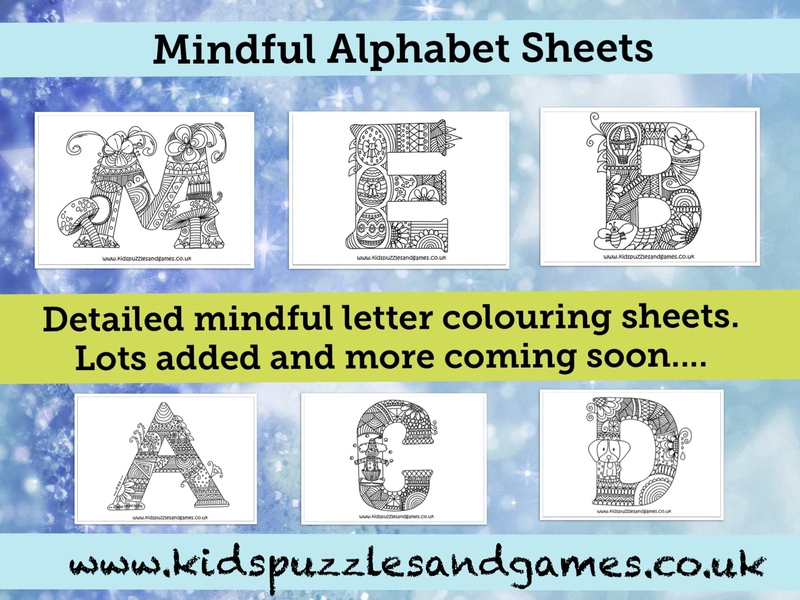 I was looking through my completed drawings this week and found this lovely mindful alphabet that I had forgotten to put on. It is not complete but I will be finishing it off this week, so please keep checking back. We have been busy this last month creating lots of new sheets in our popular minibeast theme. We have added lots of pages on individual minibeasts such as snails, dragon flies, butterflies, bees, ladybirds and many more. As well as these individual pages we have created a great minibeast spotter and tally sheet as well as counting and labelling worksheets. We have lots more planned so check back soon for more great pages. We have been busy today adding lots of new transport puzzles, worksheets and printables. We have included mazes, word scrambles, word puzzles, Sudoku, pen control worksheets, pattern work sheets and acrostic poems. Our transport theme is almost complete, only games to add later in the week, then on to our new topic. If you have any topic ideas please feel free to contact me. We have just expanded our fantastic transport puzzle section by adding some great new transport word search puzzle sheets. We have tried to cover lots of different methods of transport including, boats, submarines, cars, roller skating, construction vehicles and lots more. 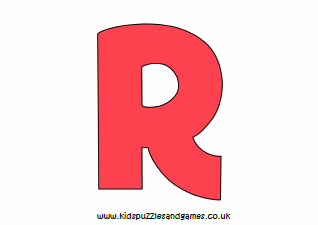 We are doing lots more puzzle sheets this week so please keep checking back. 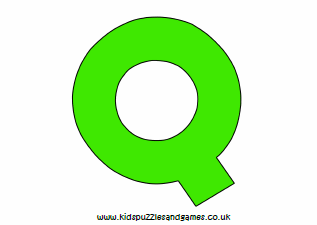 A full page colour uppercase letter Q poster for you to use in displays or to decorate your class or bedroom. 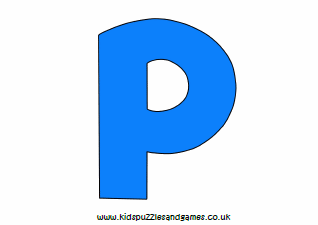 A full page colour uppercase letter P poster for you to use in displays or to decorate your class or bedroom. 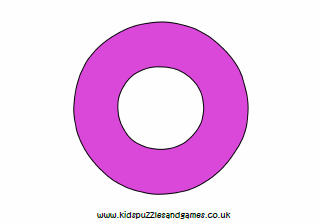 A full page colour uppercase letter O poster for you to use in displays or to decorate your class or bedroom. 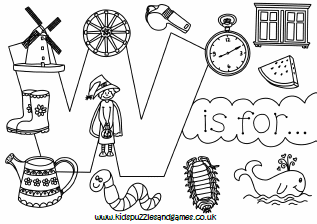 A great colouring page containing lots of things beginning with the letter W. Great for younger children to colour and talk about what each of the items are.